Doesn't hold up to SO but nevertheless a solid song. twenty one pilots are a poor man's Ween, who are criminally underrated here so I don't expect anyone to agree with me. 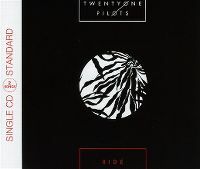 But I make the argument that twenty one pilots' whole thing seems to be putting on every different hat and make albums with very little cohesion except the unmistakeable vocalist behind each track, and a generally sloppy handling with the production. Tyler Joseph writes all the songs by himself and it kind of shows because there's always that unevenness that comes with not getting a second opinion to reel things in. It's a bit like when Muse produced two of their albums by themselves, there's a big air of not having anyone to say no at times. 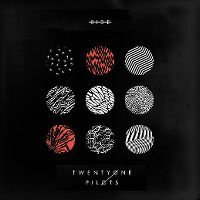 "Vessel" was fine but "Blurryface" is where it goes too far, and it's most exemplified for me on songs like this. I mean this song has it all: cringy flow-free rapping, intolerable reggae breakdown and obnoxious overuse of 'The Millennial Whoop'. I like the way the drums have been handled here, but it's really stretching it as far as positives are concerned. Stuff like this is where I want to pull out the Murtaugh quote. i still find 'Stressed Out' highly over rated and this was the first of their tracks to really warm to me.